The origins of the Greek key pattern. Many of the patterns we use today in textile design have origins that are very old... in fact, they are ancient! The very name "Greek Key" suggests origins from ancient Greek civilizations, however, variations have been discovered in Egyptian tombs and on historic Chinese buildings. 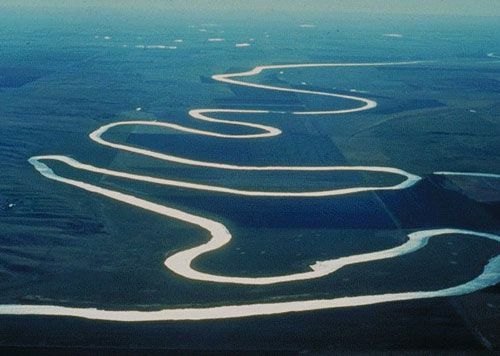 The Greek key pattern, also referred to as a “meander” or even Greek "fret", is a continuous line that folds back on itself replicating the Maeander River which is located in Turkey. The motif is found abundantly in architecture and decorative arts from the Greek Empire. The motif was used by the Romans and eventually used in Europe during the Empire Style, or Neoclassic Style, in France, the Regency Style in Britain, and spread to the US in what is known as the Federal style. We have several patterns that have evolved from the classic Greek key that you can see below. Revolution pattern, Toga, is available for purchase now on www.revolutionfabricbytheyard.com! Above: A classic Greek key pattern. Above: Revolution Plus pattern, GODDESS. Coming soon to the Revolution Store!